Has anyone seen this Grand Designs? It was an old episode, but it had some very cool window technology that we wanted to talk about (if you want to see these windows in action, follow the link above; it is 32 minutes into the video). This particular episode saw an architect build an incredible home with an entire glass front, giving a constant view into the garden from every room in the house. The bedrooms had glass walls that also looked out onto the glass front of the house for elevated views across the large garden. However, the clever thing about these windows was their ability to turn opaque at the click of a button. This ground breaking product uses an electrical current to turn the glass from clear to opaque and vice versa. A special film on the inside, filled with liquid crystals and polymer changes the windows from opaque to clear when an electrical current passes through it. When the current is on the particles in the middle of the pane of glass all stand in one direction, making the glass clear. When the current is switched off, the particles scatter, preventing light passing through and turning the window opaque. This brilliant invention uses only 8w/m2, but it is currently quite expensive to install, costing about £1,000 per square metre. If you are a bit of a tech-geek and love your gadgets this is definitely a home improvement you will want to make. 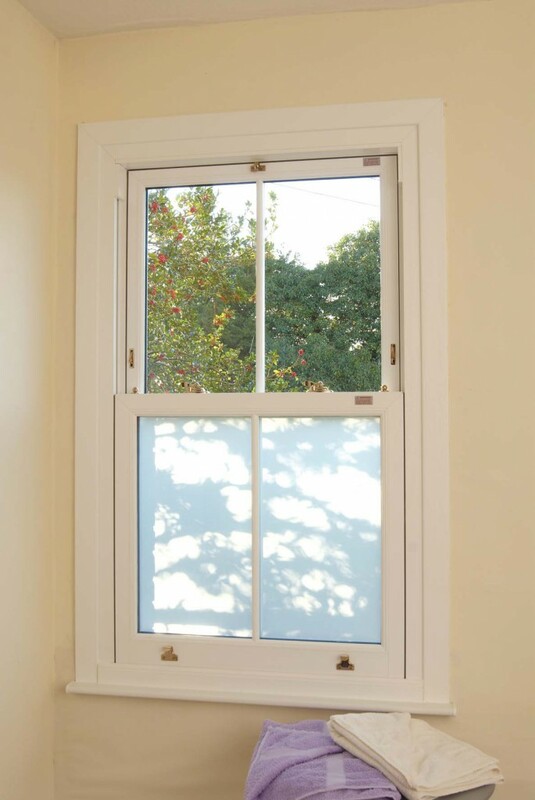 Now, although we don’t offer this kind of technology, Anglian Home Improvements can give you frosted glazing on windows to give you the privacy you need. 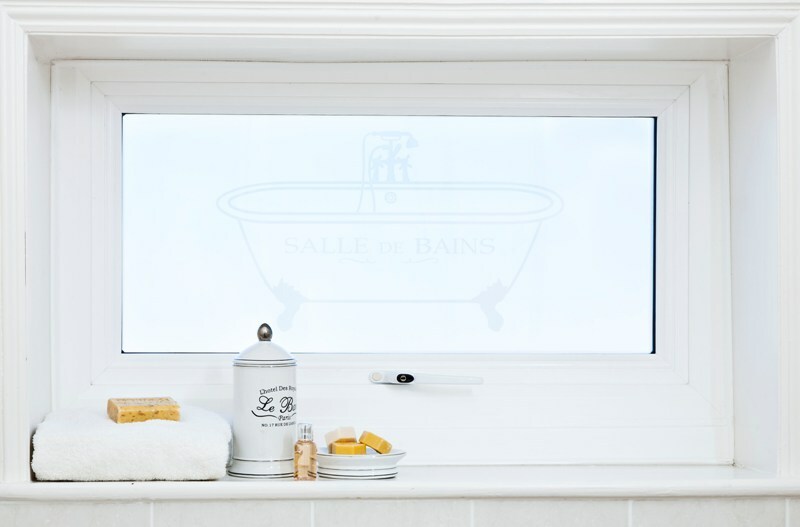 To make the windows truly unique, they can offer the frosting in a range of designs, for example, they can create frosting in the shape of rubber ducks or bubbles that look fun and quirky in your bathroom window. 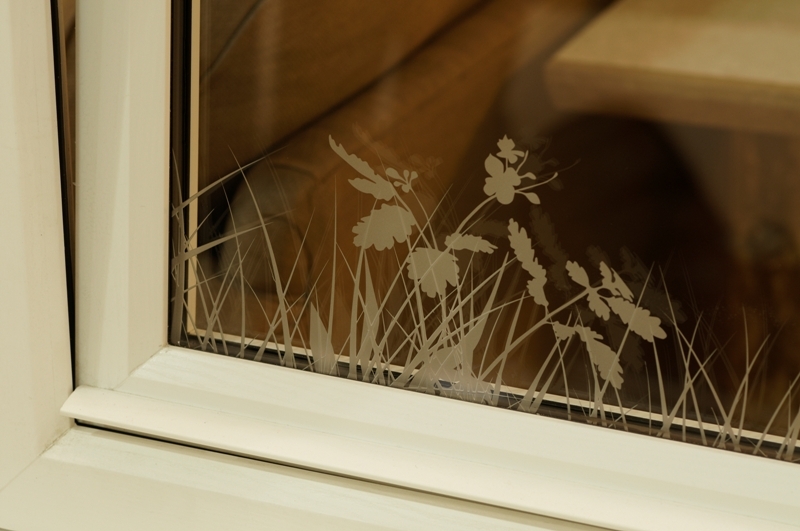 Anglian can basically create any design of frosting you require and it is suitable for both double glazing and our doors. The choice is yours.